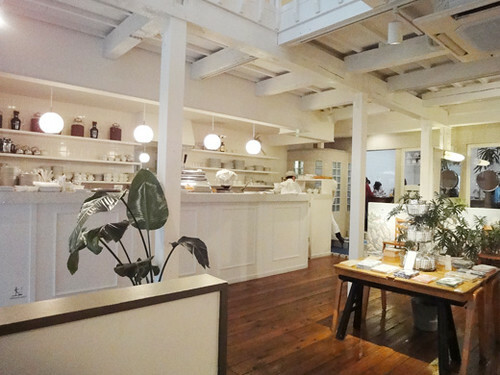 We had a break at a cafe of SAGANO-YU where was renovated public bath because it was freezing cold outside. 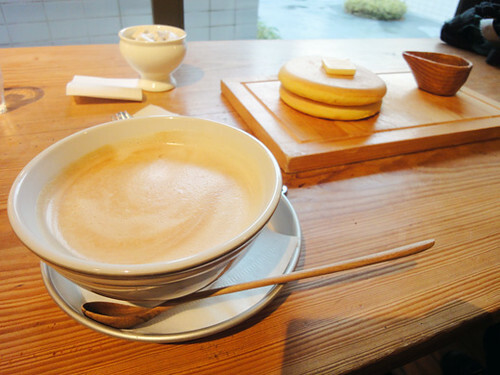 We had pancakes with butter and maple syrup and a cup of latte. They made us very happy. 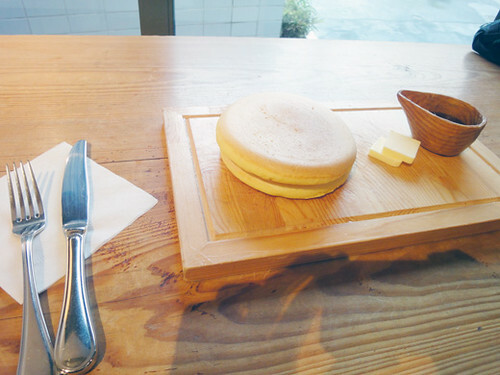 The moist and soft pancakes were very good not only the appearance but also the taste. 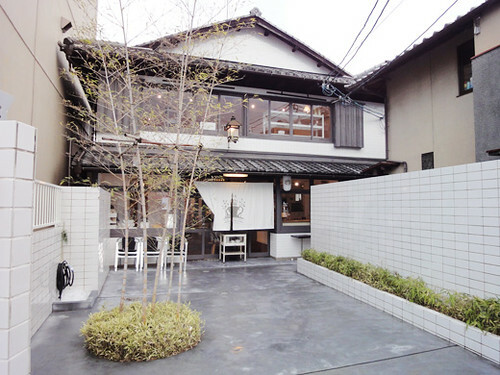 This place seems so cool to spend a holiday!